For gutters that will channel high volumes of water away from your home in Republic, Missouri, there is no one better to call than ABC Seamless Siding & Windows. We are home improvement experts who have been in business since 2007, and we install the finest home exterior products on the market. 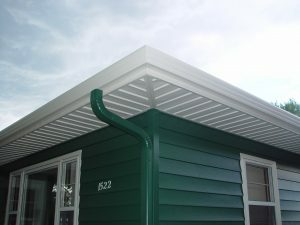 The rain gutters we install for homeowners in Republic are completely free of unsightly seams, so they are more attractive and they are far less susceptible to developing leaks and clogs. Our gutter systems are seamless because we will manufacture them on-site to exactly fit the dimensions of your home. Not only that, they are made of 28-gauge, G90 galvanized steel, so they are incredibly durable and able to withstand decades of abuse from the elements. For more information on the seamless steel gutters we can install on your home in Republic, MO, contact ABC Seamless Siding & Windows today.